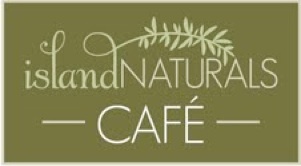 Find a selection of our premium loose leaf tea and teaware at Island Naturals Cafe. Go Green, Workin’ 9-5, Royal Affair, Skinny Lemongrass, Got the Blues?, Spice it Up Cayman!, Hibiscus Vanilla Delight, Nettle with a Twist, Pom-azing, Beloved Isles Cayman, Hibiscus Vanilla Delight, Oh Natural- Peppermint, Luxurious Lychee and Georgia Peach...I mean GingerPeach. Birdsong, Cherry Blossom and Tree Top Kati Cups, Tea Pockets and Teaze Gravity Infuser.